Some celebrities who have made it to the top of the industry have had to struggle real hard. Some of them even survived a gunshot. Here is a list of such awesome celebrities. You may also like: Want To Click That Picture Perfect Shot? Check Out These Tips To Become A Pro In Mobile Photography. Before becoming a popular rapper, Vanilla Ice was a street thug. During his early days, he was involved in drug-dealing and street and actually ended up getting blasted by a gunshot. Andy Warhol was shot by a radical prostitute whom he was just being nice to until he realized that she was a crazy human being. Of course, Andy Warhol is also among one of the craziest celebrities. Kelly Preston, the wife of John Travolta got a gunshot in her arm by her then-fiancee Charlie Sheen in 1990. 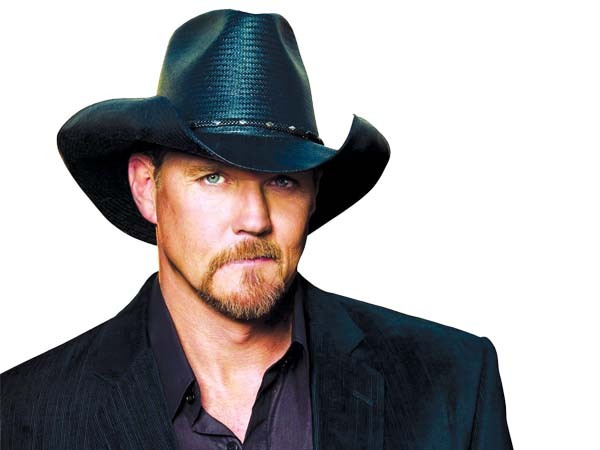 Trace Adkins was shot by his ex-wife. The bullet penetrated through his heart and both of the lungs. However, he somehow survived the whole scenario. On the top of that, he didn’t even put any charges on his wife. In 2005, Akon was the vic. in a drive-by. Akon caught some lead of the incident. However, his manager Montanez got killed in the attack. Director Oliver Stone was a part of a Non-aligned movement and was agonized with gunshot wounds. He survived the incident and was awarded a Purple Heart for his service. Jennifer O’Neil accidentally shot herself in the stomach in 1982 while casually checking if her .38 gun was loaded or not. She is probably one of the weirdest celebrities on this list. He has got married 8 times till date. Peter Fonda, the son of Henry Fonda accidentally shot himself in the stomach when he was just 11 years old. Curtis James Jackson III, professionally known as 50 Cent got blasted by 9 gunshots by his enemies. However, he survived and came back strong 5 months later only to become one of the most epic rappers of all time. James Garner is one of the most versatile actors in the world. He has served in the Korean war and caught fire twice. Bob Marley, his wife and manager, all got attacked because of political disruptions. Lil Wayne accidentally shot himself when he was carrying a nine milli gun.